Kerala PSC has published the Rank List of the Secretariat Assistant Exam for the post of ASSISTANT/AUDITOR in Govt.Secretariat /KPSC /LFAD/Advt.Gen.Office /Office of the Vigilance Tribunal /Special Judge and Enquiry Commissioner Office. It was a statewide exam. Secretariat Assistant Exam was held on 13-10-2018. Download Secretariat Assistant Exam Rank List 2019. The Probability List containing the Register Numbers of candidates who are found provisionally eligible to be included in the Ranked list, subject to the verification of the Original documents. Kerala PSC has published the Probability List of the exam of Last Grade Servants (LGS) in Company/ Board/ Corporations. The LGS Company/ Board exam was conducted on 07-10-2017 and 28-10-2017 as statewide exam. Cut off of 94.33 LGS Company/ Board exam - ( ninety four (point) three three ). Given below is the advice details of Last Grade Servants (LGS) in Company/ Board from the previous list. Total 2589 candidates were appointed from the last list. Kerala PSC has recently published the schedule/time table of the exams to be conducted in the month of July 2019. Submit confirmation from 22 April 2019 to 11 May 2019. High Court of Kerala has published the short list for the post of High Court Assistant on the basis of the OMR and descriptive exam conducted on 10 February 2019. The candidates selected for the interview are included in the short list of High Court Assistant. Kerala Public Service Commission (KPSC) has published the Short Lists of Woman Police Constable Exam conducted on 22nd July 2018. It was a statewide exam. Candidates included in the short list are eligible for attending Physical Measurement & Physical Efficiency Test & Certificate verification. Candidates can download Result from below mentioned link. Study materials are purely based on the Syllabus of University Assistant 2019 issued by Kerala PSC. This page will update daily. So please keep on visiting and learning. This page will update daily. Keep on visiting. Kerala Public Service Commission (KPSC) has published the Short Lists of Police Constable Exam conducted on 22nd July 2018. 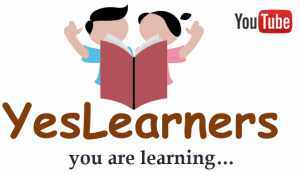 Here you can download the previous question papers of Kerala PSC Village Extension Officer or VEO in pdf format.